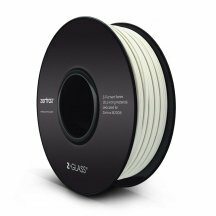 Spool of Z-GLASS for the Zortrax 3D printer. 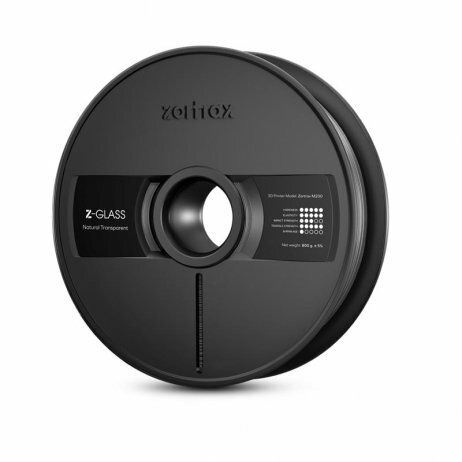 Z-GLASS is a thermoplastic copolyester blended with glass fibres. Made for printing translucent items with remarkable mechanical properties: high tensile strength, resistant to high temperatures and to abrasion. This material is also highly resistant to salt, acid and alkali. Print settings for Z-GLASS are managed automatically via the Z-Suite software to provide excellent aesthetics and good mechanical properties. Z-GLASS is available in a wide range of colours at the best price for you to purchase. Zortrax GLASS spools are optimised for M200 printers only, and are produced directly by the manufacturer.